How does the environment affect cold-formed steel framing? Get the facts on what makes CFS one of the most durable building materials available. One of the major material advantages of cold-formed steel (CFS) framing is that it is impervious to the environmental factors that typically threaten the integrity, lifespan and stability of other framing materials. The material’s resistance to corrosion, mold and vermin, plus its dimensional stability, helps give it a longevity few other building materials can rival. Read on to learn more about cold-formed steel’s many durable attributes. Properly designed and constructed steel structures provide long-term durability and demonstrate excellent service life. Building codes and industry standards require that steel-framed structures be designed to tolerate corrosion or be protected against it where corrosion may impair strength or serviceability. 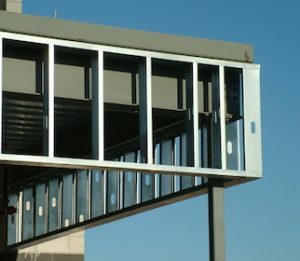 Steel framing may be protected by barrier paints or other coatings applied on site or during manufacture, or by galvanizing (coating with zinc), depending on the severity of exposure conditions. 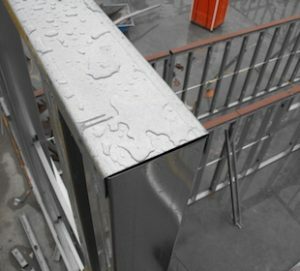 Zinc-coated steel — which is standard for cold-formed steel framing — will last far beyond the life of a building when properly installed and insulated. The zinc coating protects the underlying steel by “sacrificially” corroding over any area where the underlying metal becomes exposed. Because of its corrosion resistance, CFS is especially appropriate for use in the high-demand structural configurations of configurations featured in mid-rise construction. Steel framing is inorganic, which means it offers no food source for mold to grow upon. Moreover, steel framing also can help resist the onset and growth of mold since its framing members are dimensionally straight and connected mechanically with screws rather than nails, providing a tight structural envelope with no nail pops or drywall cracks. 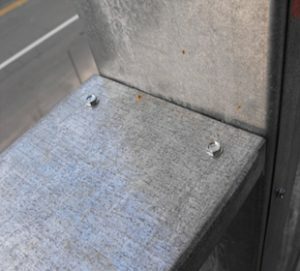 Moisture does not seep into steel studs, substantially eliminating the expansion and contraction of construction materials around windows and doors, where leaks can occur. Termites cause more damage to wood structures than fire, floods and storms combined. And that destruction is rarely covered by insurance. Making matters worse, the Formosan termite — one of the most destructive termite species in the world — has spread from its original home in Hawaii to establish itself around the U.S. Gulf Coast, and is rapidly expanding its range. But even the formidable Formosan termite doesn’t affect cold-formed steel. That’s why the International Residential Code recognizes CFS as one of the methods for complying with its requirements for termite-resistant construction. The use of CFS also creates a healthier structure by eliminating the need for annual chemical termite treatments or pressure-treated lumber and its associated emissions. Framing systems are designed with an eye to structural integrity and stability. The taller the structure, the more important these considerations are. Unintended structural movement can have expensive and potentially disastrous consequences on a building’s structural, mechanical and finish systems. 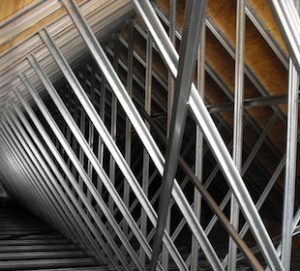 CFS framing is dimensionally stable and it is not subject to moisture-related expansion and contraction, or predisposed to shrink, split, warp, crack or creep. Steel also is isotropic — meaning it has the same dimensional properties in all directions, with the same strength up and down a member, side-to-side, and in all loading directions. The tighter envelope provided by CFS framing also enhances the structure’s overall energy efficiency, reducing long-term maintenance and repair costs that often result from framing with less stable materials.